JALCO has served Southern California since 1987, but its roots are even deeper-- Jim Spaulding has been in the landscaping industry since he was in fifth grade. What started out as a elementary school lawn-cutting service in Michigan has grown over the decades into a family business that spans two generations and has a combined 100 years of landscaping knowledge and experience. The result is a company that prides itself on being an industry leader in landscape maintenance, landscape design, irrigation management, and drought tolerant landscaping for residential, commercial and industrial properties. Jim and Leslie Spaulding created JALCO Landscaping in 1987, focusing on residential accounts. One year later, JALCO expanded to commercial properties and hired Crew Foreman Hector Pintado, who is still with the company today. JALCO's business is built on loyalty, as well as impeccable customer service. The company does not advertise, instead they rely on word-of-mouth and satisfied customers. Each and every site is a backdrop to showcase the service that JALCO's certified irrigation technicians and lawncare specialists can provide. It's a concept that dates back dozens of years-- The Spaulding's bought their first home in California in 1988, and added the homeowner association as a client. Decades later, the house is long since sold-- but the HOA still remains a client! Landscaping is a lifelong pursuit and passion for JALCO. 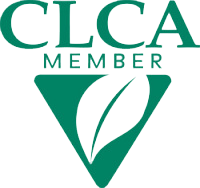 The team is constantly furthering its education using the latest tools, and is a member of CLCA, CAI and IA. JALCO's staff provides 24 hour on-call emergency staff and services all of the Southland, including Orange County, Inland Empire, Los Angeles, and San Diego. A landscaping business that sprouted in Michigan has grown over the decades in Southern California, and remain's an industry leader for decades to come - one satisfied customer at a time. 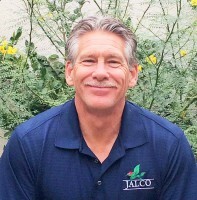 Jim Spaulding is the President and founder of Jalco Landscaping. He founded the business out of a passion for the outdoors and creating aesthetically pleasing landscapes. Jim has over 40 years of experience in the landscaping industry making him a leader in his field. His extensive knowledge helps guide Jim to create beautiful showcase properties to clients throughout Southern California.